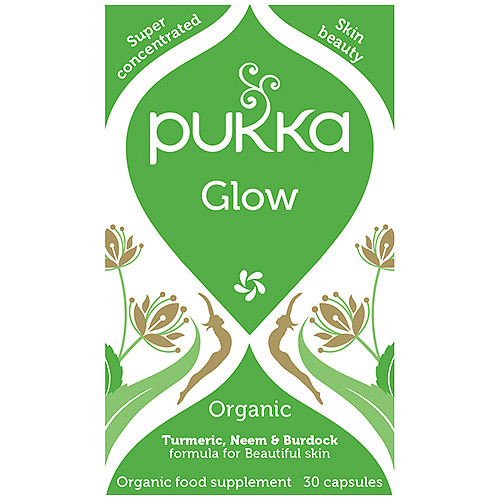 Pukka Organic Glow - Turmeric, Neem & Burdock glow is a concentrated blend of some of the world’s finest herbs gathered from fertile organic soils. Glow will help the encourage the skin to radiate health and vitality. It will also promote effective wound repair and cell renewal. 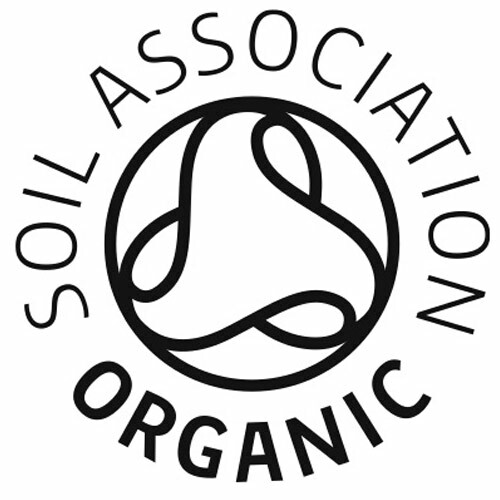 This broad-spectrum formula helps bring radiance and contains the highest organic grade, sustainably cultivated herbs, carefully selected to bring you the full potential of nature’s goodness. Nettle, Neem & Chlorella help to cleanse, detoxify and improve the quality of blood supplying the skin. Shatavari & Aloe Vera encourage soothing, cooling and help increase moisture. NNettle leaf fresh freeze dried*, Turmeric root* 10%, Burdock root* 10%, Dandelion root extract*, Chlorella cracked-cell*, Triphala fruits (Amla, Bibhitaki, Haritaki)*, Neem leaf* 7.5%, Shatavari root*, Turmeric root wholistic extract*^ 5%, Gotu Kola leaf wholistic extract*^, Aloe Vera juice concentrate*, Neem leaf wholistic extract*^ 2.5%, Shatavari root wholistic extract*^, Vegetable cellulose capsule (hypromellose). Store away from direct sunlight below 30°C. 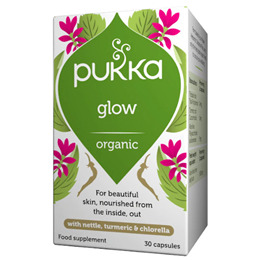 Below are reviews of Pukka Organic Glow - Turmeric, Neem & Burdock - 30 Vegicaps by bodykind customers. If you have tried this product we'd love to hear what you think so please leave a review.